State Plaque NO. 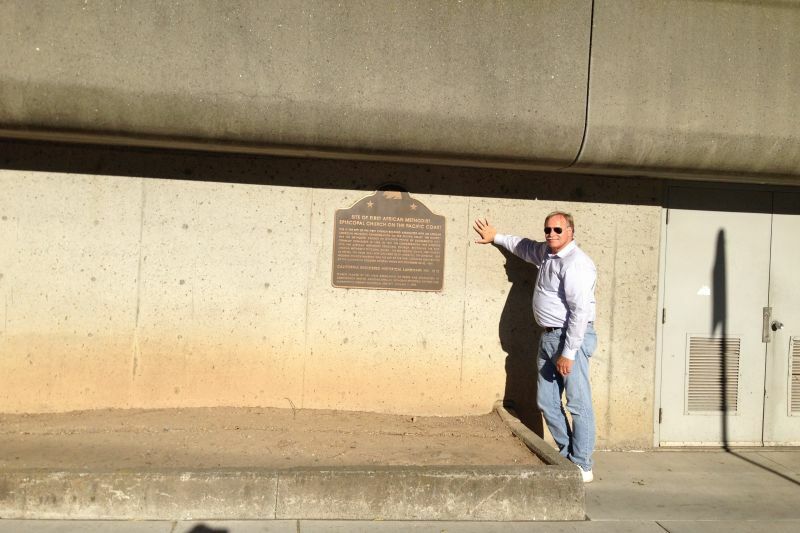 1013 SITE OF THE FIRST AFRICAN AMERICAN EPISCOPAL CHURCH ESTABLISHED ON THE PACIFIC COAST - This is the site of the first church building associated with an African American religious congregation on the Pacific Coast. The church was the Methodist Church of Colored People of Sacramento City, formally organized in 1850. 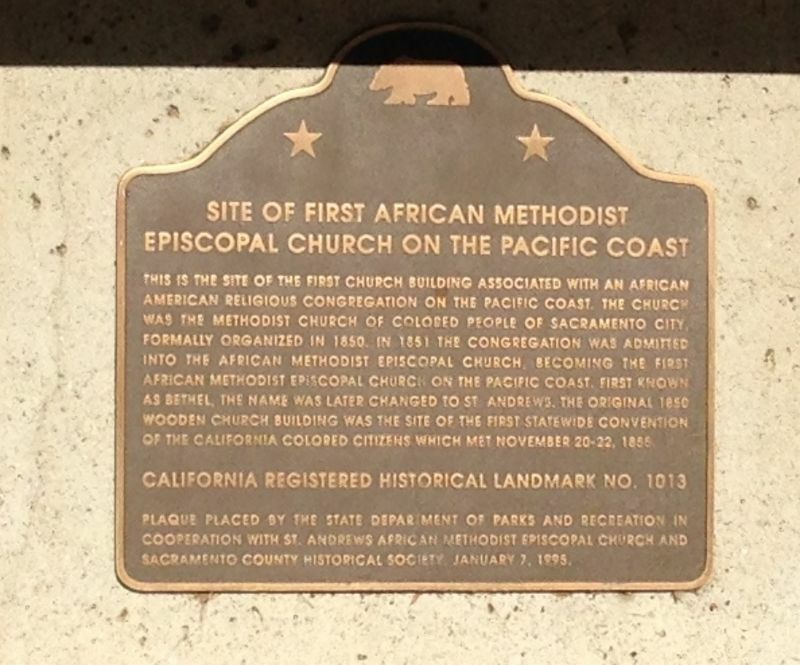 In 1851 the congregation was admitted into the African Methodist Episcopal Church, becoming the first African Methodist Episcopal Church on the Pacific Coast. First known as Bethel, the name was later changed to St. Andrews. 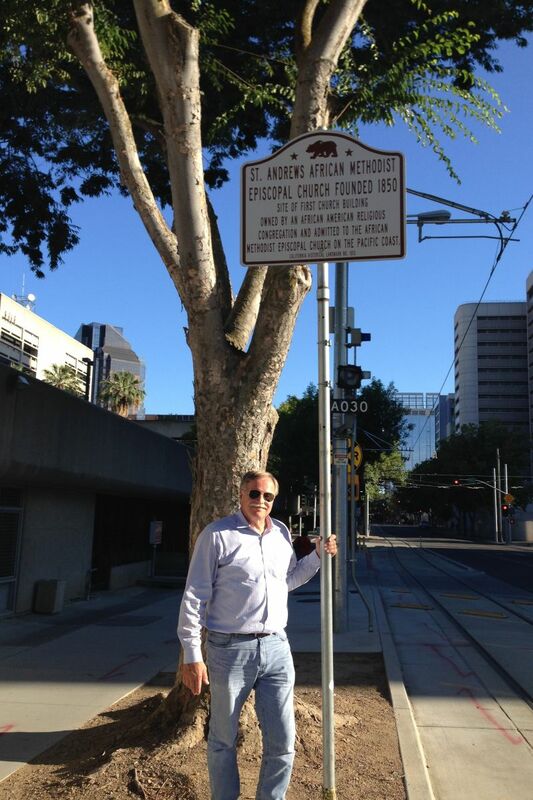 The original 1850 wooden church building was the site of the first statewide convention of the California Colored Citizens which met November 20-22, 1855.